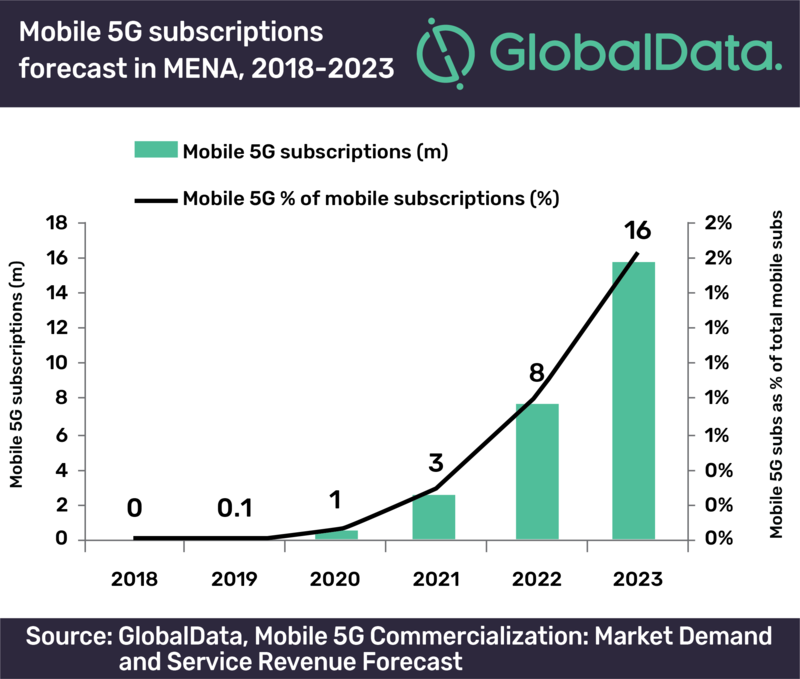 The Middle East & Africa (MENA) will see the adoption of commercial mobile 5G services in 2019, on par with the US and a number of leading countries in the Asia Pacific (APAC) region, says GlobalData, a leading data and analytics company. According to GlobalData’s report: ‘Mobile 5G Commercialization’ the first 5G mobile commercial services are expected to be available in 2019, with operators rolling out offers in selected markets in APAC, North America, Europe and MENA. Latin America, meanwhile, will see the first mobile 5G commercial releases in 2021.